For the project covering the period April 2009 to March 2010, The US DOS provides USD 2,825,000 to ATC for demining projects. Afghanistan . It helped to accelerate the return to normal life and provide livelihood opportunities to many Afghan people. 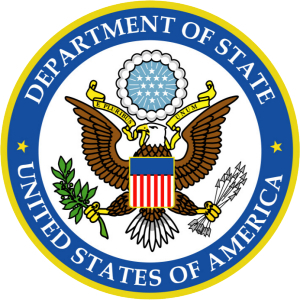 ATC was awarded the first contract from the US department of State in 2005. The demining activities under this contract were started in Kalafgan district of Kunduz province. One demining teams (consisting of 20 deminers) and one MDU was deployed under this contract. 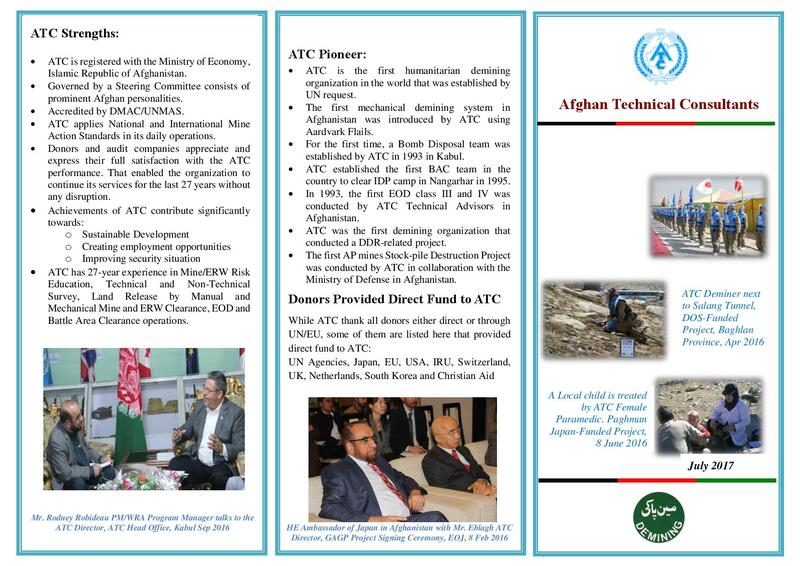 By providing excellent results, ATC proved to be a highly effective and efficient demining organization. As a result of extra ordinary performance ATC was awarded the second contract by the US DOS, after finishing the first one. The second project was started with the same demining capacity on 1st April 2006 and continued till 31st March 2007. During this period of time ATC expanded the US DOS operations to some other provinces of northern region. The MDU funded by the US DOS supported demining assets; this has a very positive impact on the level of productivity in the field. After successful completion of the second project, ATC was awarded the third US DOS funded contract. The operations under this contract started on 1st April 2008 and continued till end of March 2009. Considering the efficient and productive completion of the two previous yearly contracts, the US DOS increased its funding value by making it almost double of the previous contracts. This was an important achievement for ATC to enlarge its demining capacity under this contract. For smooth running of operations and coordination a highly organized project office established in Kabul. After completion of the third contract, the US DOS evaluated all three years experience and found ATC as the most effective and efficient demining organizations over the country and further increased by almost 40 percent in comparison with the previous contract. This is the most invaluable situation for ATC. The ever increasing funds being received from the US DOS enables ATC to re-employ the laid-off deminers, who were released because of shortage of funds under the other projects. Beside the main contract, the US DOS also awarded ATC with the small stand-alone demining projects i.e. 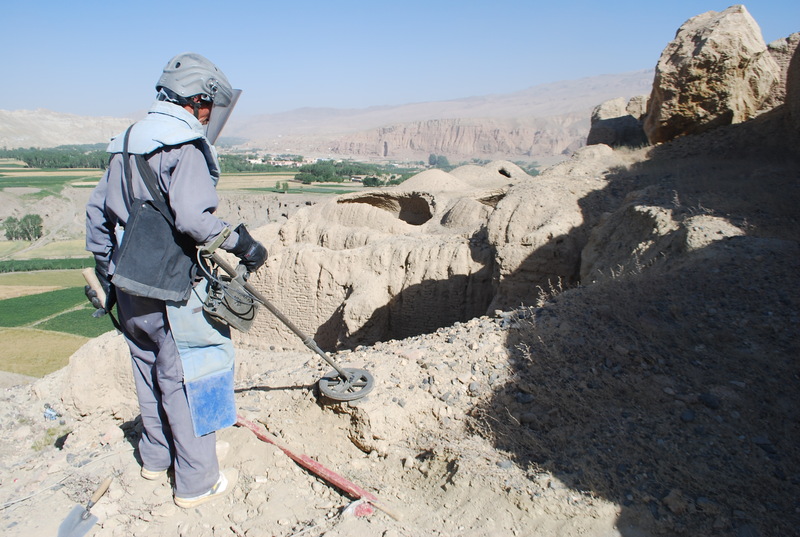 community based demining in Parwan province and the demining project implemented in Bamyan province called Roots of Peace. The US Department of State initiated the MDD mine clearance program with ATC 1st April 07 onwards. Seven new dogs were initially purchased and put on training under the supervision of highly qualified personnel from WRA and ATC. ATC currently deploys four Mine Detection Dog Sets working in different districts of Parwan province and one MDD is under training. village of Bangi district, Takhar province. This minefield was located in agricultural land. Mines were laid during 1990s. According to the civilians, 5 people were killed while more than 12 got injured at the contaminated land, before the clearance work start. The land was completely cleared of mines and UXOs and handed over to the respective owners. The land is basically used for residential and grazing purposes, from which approximately 75 families directly get benefits. The US Department of State found and destroyed an amount of 10 anti-personnel mines and 1 UXO while collected 27,547 peaces of fragments during clearance. This minefield was located in Jelawgir village, Ali Abad district of Kunduz province, this task placed in a residential area were 3 anti-personnel mines were found and destroyed, while more than 8000 fragments were collected. According to the local people more than 100 families direct benefits of the cleared land. Likewise the DOS DT cleared a battle field in Azqalan village, Khan Abad district of Kunduz province where 82 UXOs were found and destroyed and 3,872 pieces of fragments were collected in a total area of 2,193 squire meters. 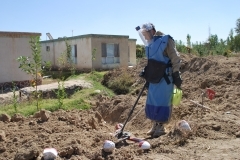 This task was located in Teka Toymast village, Kalafgan district of Takhar province The minefield was positioned in a residential area where approximately 70 families were involved. During the search operations the demining team found 8 Anti Personnel Mines laid-down in the minefield area. A battlefield located in Azqalan village, Khan Abad district of Kunduz province was also cleared by DOS funded teams. 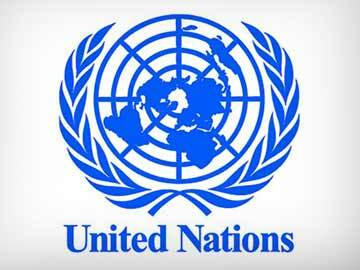 10 Un-exploded Ordnance were found and destroyed from the mentioned area. Another important tasked cleared by the US DOS teams was in Khan Abad village which is an agricultural/grazing area feeding animals of more than 100 families. As a rain-fed land, it is a very important and beneficial field for growing different seeds. More than 100 families get benefit of this area. A mine incident had occurred in this area and one villager and a cow were killed. After clearance more than 120 families are getting benefits of the cleared land. Minefield no. 48: This task was a heavily populated residential area in Kunduz city, division No.2. The City markets and schools are located in the task, many residential houses were surrounded by minefield and daily activities were badly affected. After demining operations, people of the area can resume their daily activities with more confidence. Minefield No. 49 was located in De Kalan village of Ali Abad district of Takhar province. Before mine clearance, people of the village were in a real risk to go on their fields and carry out their activities. The DOS funded teams completed the clearance of this task. After Clearance people of the village are very happy and can have their daily activities on. 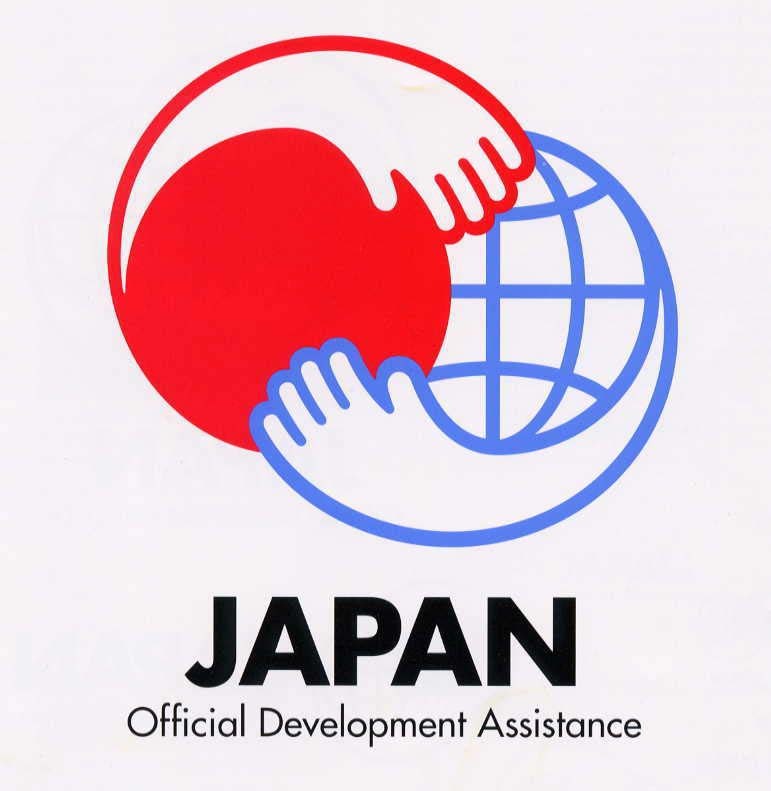 Technical progress reports are submitted to the designated Grant Officer Representative (GOR) on a monthly basis in lieu of quarterly progress reports, or the recipient submitted technical progress reports with quarterly financial reports via e-mail to the GOR with copies to the GO and the Grants Assistant. These reports are submitted on specific dates which have been mentioned in the article of contract Reporting. ATC started its first demining project funded by the EC in 1993 in Nangarhar province. The project target area was the heavily contaminated minefields and minefields located around Jalalabad city. ATC started to implement projects with direct funding from the EC between early 1993 to late 1998. Once ATC faced financial problem and approached thee EC HQ. The latter helped us to resolve the restriction and cooperated very well which ATC appreciates their attention. ATC is also pleased with EC when they close down their office in Peshawar and changed their policy to stop direct fund to NGOs, but still the EC earmarked fund to ATC provided through UNDP for 2 years. When current Government of Afghanistan came into power, the EC further brought changes in their policy and provided fund to UNMAS allocating to its Implementing Partners like ATC. ATC was very much pleased with all the above modalities of provision of fund. Peshawar was very helpful. 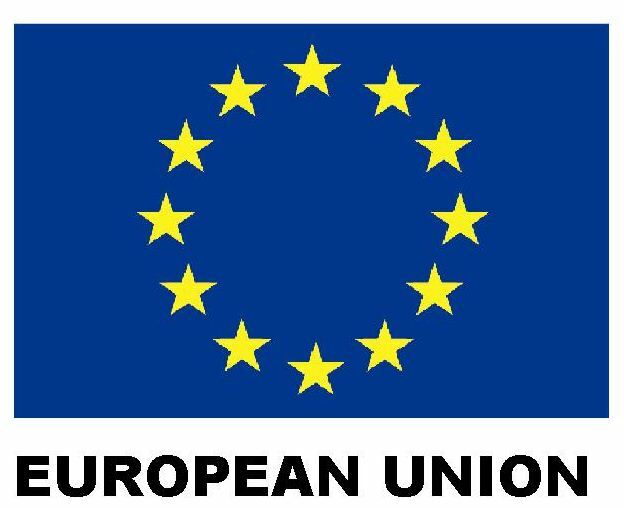 Our financial support by the EC reached to 3,000,000 Euro per annum. With Earmark funding ATC was much more comfortable and was able to concentrate on the field while submission of report was responsibility of UNDP. The earmarked fund to ATC was 2,000,000 Euro per annum. As a total, ATC received 9,800,000 Euro from the EC between February 1993 and November 1998. EC funding through UNMAS was also effective as ATC submitted any specific report to UNMACA whenever required. Now, ATC faces again the shortage of fund, and to keep the experienced deminers on the field, we need a lot of support by donor community, especially the EC. for humanitarian and reconstruction operations; based on experience one Manual Clearance Team will clear 20 to 30,000 square meters of minefields per month. Likewise, a Mechanical Excavating Team will prepare and clear approximately 10,000 SqM in one month period. Empower the efficiency of mine action. Increase self reliance of internally displaced people and refugees for repatriation. Enhance the safety and security of workers and family by reducing casualties. 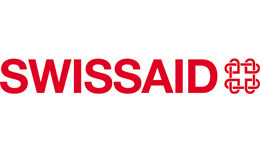 Enhance access to road and clearance of areas with subsequent aid project. Provide an emergency response section to rescue persons trapped in minefield. Improved ATC capacity in Manual/ Mechanical Mine Clearance activities, with further equipment and training. Manual Mine Clearance Activities: 39-man MCT (Now DT) technique for clearance of minefields in such fields where other Demining teams (mechanical or dog teams) cannot be deployed. Each team had 24 deminers, 4 section leaders, 1 assistant, 1 team leader, 2 paramedics and 7 support staff. As per MACA Standing Operating Procedures/SOPs, The deminers used existing metal detectors and discover mines/UXO by prodding and digging the ground. They prod from the squatting position and use personal protective equipment, helmets, visors and prodders. Mechanical Mine Clearance Activities: ATC also used the Mechanical Demining Units (MDUs) for residential and battle field areas. The team used Backhoe machines to excavate soil from mined residential areas and canals, which was proving to be an extremely slow and high-risk activity for manual deminers. In fact, these methods help to prepare the land for the MCT (Now DT) to work. This method of demining has proved to be very effective. A newly designed machine was also put into practice for mine clearance operations. This machine is more flexible in the tasks it can perform, as beside the excavating and skeleton buckets, it is equipped with a rotary cutter and chain, which can be used to clear bushes and dense vegetation in minefields that are more problematic. These techniques and equipment were utilized due course of its implementation. Tasking: The areas of operation were defined in accordance with EC and MACA planning and priorities and in coordination with the humanitarian and reconstruction efforts of the international community, with specific regard to this EC funded operations. There was always requirement for the organization to carry out continuation, formal and refresher training. The training required for effective and safe operations must be based on a curriculum that has clear aims and is comprehensive and progressive. New information, techniques, skills and equipment, must be taught in a logical and progressive sequence that maintains momentum and results in the achievement of set objectives. Well-planned and executed training courses shall ensure that all members of the organization acquire the skills and knowledge to work to the minimum required standard. Appropriate revision and continuation training shall be conducted not less than one of two months. If a break of more than a month occurs then at least one day of revision and first Aid training shall be conducted prior to new deployment. In addition to these, ATC has been providing refresher training to its own support staff members from time to time to keep them up to date the modern technology and methodology in mine clearance plan and activities. (KIA) Japan provided fund for one of ATC’s Mechanical Excavation Teams (MET) to clear mine belts around KIA. The project was completed in one year; i.e. April 2002 to March 2003. 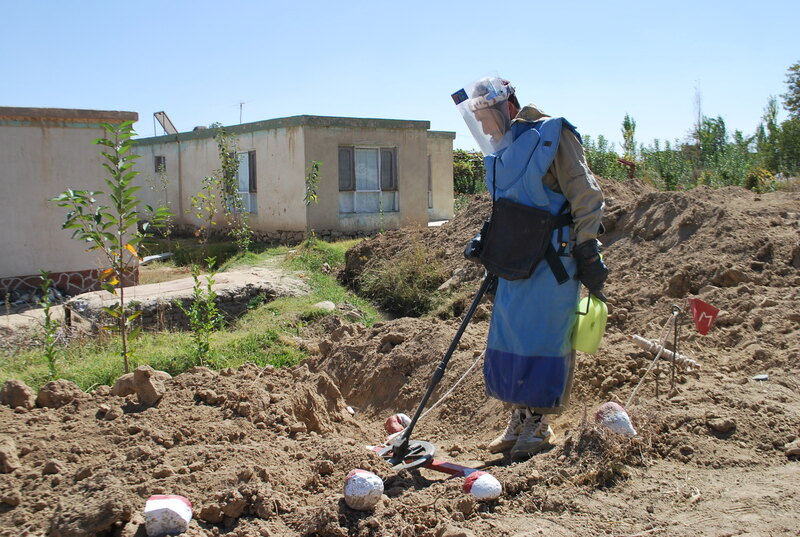 During the project period the MET cleared 18,801 Square meters of extremely contaminated area and destroyed 1,830 antipersonnel mines and UXOs. 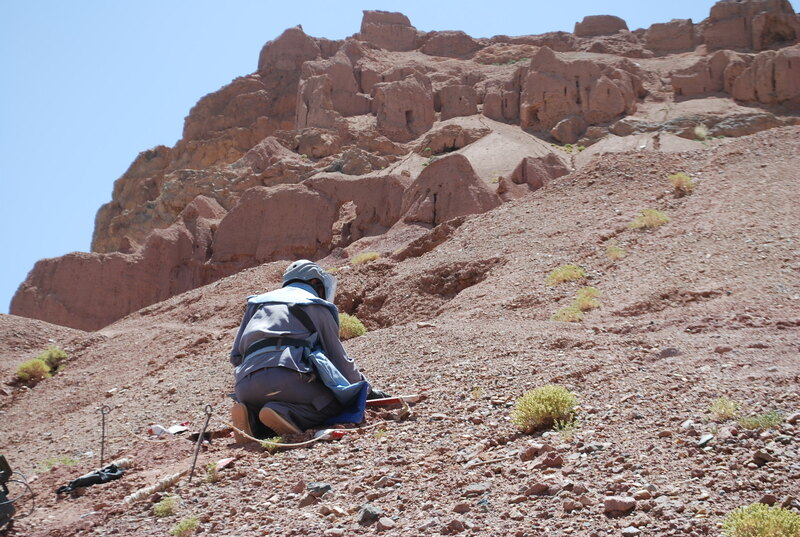 The minefields around KIA were heavily mined and contaminated by fragments; more than 79,965 pieces of metal fragments were also collected during the course of Project. 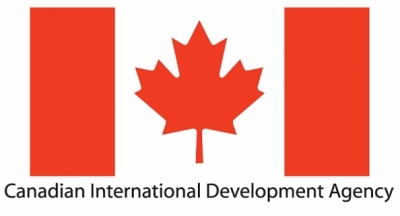 ATC has advocated the development and improved demining technologies and methods at several international conferences. ATC also provides assistance for such efforts. UNO Corporation, a Japanese company, which sought our advice and cooperation in producing a combined cutter and excavator at a time. The machine is designed as such that a cutter part and excavator can be fitted to one machine. Thus, whenever the cutter has completed its work the excavator is ready for search and checking of the target area. Exchange of ideas and advice to this company continued from time to time. As a result in late July 2000 ATC received the rotary cutter in kind contribution from the Ministry of Foreign Affairs of Japan through UNMACA and started operation with this new machine in Afghanistan . Introducing this machine to the mine clearance operations resulted in a tremendous success for clearing areas of bushy surface that were hard for clearance by existing Backhoe machines. The Hitachi ZX 200-5 is the first demining machine donated by Japanese Government to ATC and Mine Action Program of Afghanistan in the year 2000. The Machine worked in the most important and challenging minefields of the country. The Hitachi ZX 210-W was the second Japanese machine contributed to ATC in 2004. This machine worked in different tasks and still working with ATC effectively. Kabul Airport. As soon as the machine gets ready, it would be deployed to the field. Japan. It will assist us to remove deadly mines and unexploded ordnance more safely and effectively. and successfully completed in 52 days. During that period a total of 4215 different types of mines were located from which 1367 were destroyed. The remaining items were kept for training purposes. Totally, US$ 19,686 was spent in this project.